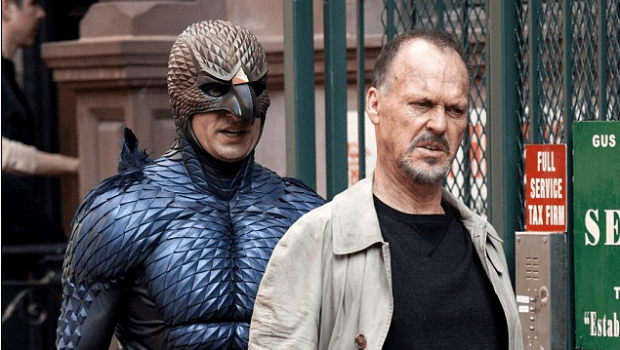 Birdman Wins Three Indie Spirit Awards! Birdman won three Indie Spirit Awards this afternoon – Best Picture, Best Male Lead (Michael Keaton) and Best Cinematography (Emmanuel Lubezki) – while Boyhood, its major competitor for the Oscars®, nabbed Best Director (Richard Linklater) and Best Supporting Female (Patricia Arquette). Julianne Moore won Best Female Lead for Still Alice. Citizenfour won Best Documentary, J.K. Simmons got Best Supporting Male, and Ida won Best Foreign Film. For a complete list of winners, follow the jump. Previous PostFeaturettes: The DUFF Files!Next PostKirk Cameron Dazzles at the Razzies!